Skullcandy Hesh 3 is the latest Bluetooth over-the-ear wireless headphone model from Skullcandy, one of the big names in terms of headphone products. 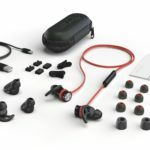 In this latest release, it looks like Skullcandy is refining the design as well as sound signature of their headphones. Is this Skullcandy worth your money? Let’s look at what it has to offer at this Skullcandy Hesh 3 review. 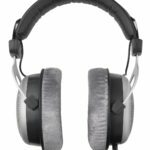 In the following Skullcandy Hesh 3 review, see how its features flourished and what notable aspects of Hesh 3 may attract your attention. 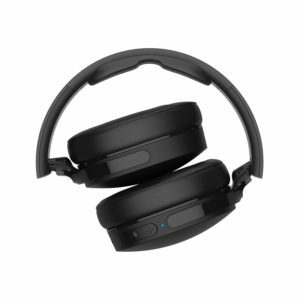 Look at what this wireless over-ear headphone can offer, from design, performance, sound, comfort, battery and more. The third in the Skullcandy Hesh series, find out if Hesh 3 live up to its name. The first thing you notice when choosing headphones is always design, right? In Skullcandy Hesh 3, you can have quite a good-looking headphone with its stylish design. Hesh 3 actually looks a lot like Skullcandy Crusher, but it has a tad modified control placement. It is also a bit smaller than the Crusher headphones, which adds to its appeal. A micro USB charging cable is located on the headphone’s right ear cup, with a 3.5 mm aux jack and playback controls. The controls allow you to increase and decrease the volume together with multi-use button at the center, which you can use for playback and calls. Hesh 3 headphones have a similar build-quality with Crusher headphones, that is, the body is mostly plastic. The plastic, however, does look strong and capable of handling the typical abuse headphones sustain. Since it is plastic, it makes it vital that you become extra careful when putting the headphones in your bag or it will end up damaged, which is why it probably needs a bit of metal. Overall, Hesh 3 has a decent built although you would probably look a bit more in terms of build quality. Next to design, of course, you want a headphone that offers you ultimate comfort. This Skullcandy Hesh 3 review finds this over-ear headphone offers great comfort levels when playing your favorite music and receiving calls. Hesh 3 is generally comfortable but for someone who compulsively plays music, you look for a higher level of comfort. Hesh 3’s clamp is a bit tight so when you listen to music for long periods, it can become a little uncomfortable. Headphones, however, is ideal for blocking outside noise. With that, if you are looking to have a quieter listening experience, Hesh 3’s clamp may be a little snug to offer you ultimate comfort. On the other hand, it does have enough padding on ear cups that helps with added comfort. 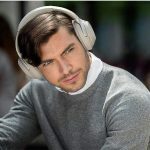 Hesh 3 is a wireless headphone, connecting to your listening device via Bluetooth. 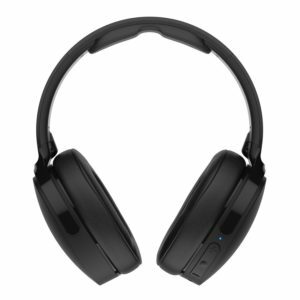 This Skullcandy Hesh 3 review found it has 10 meters or 33 feet connectivity range. Within that range, the Hesh 3 didn’t show any serious connectivity issues, excluding when you have plenty of obstacles barring the signal. 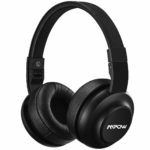 If you get the headphones to full charge, you can have 22 hours of playback which better than Skullcandy Hesh 2 and Skullcandy Uproar Wireless can have 15 hours of playback respectively. The best thing about Hesh 3’s performance is it offers a way for quick charging, allowing you added four hours of playback in only 10 minutes of charging. Hesh 3 provides strong, deep lows and at moderate volumes, playing music at low frequencies offers well-defined, full sound. When played at higher volume, the sound is even more powerful without the drivers ever distorting. In terms of battery, you know already that it has a long life with 22 hours of playback. 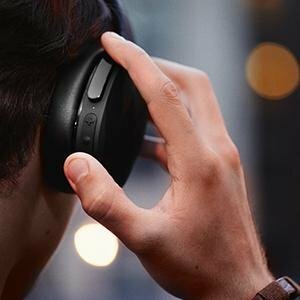 While this does not break any records in terms of long life battery, Skullcandy Hesh 3 still beats a lot out of its competition. With its awesome charging ability, this Skullcandy Hesh 3 review tells you that Hesh 3 is a great headphone, one that would not let you wait long to start listening again. 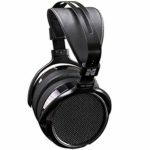 Reading this Skullcandy Hesh 3 review, you will know the headphone is relatively comfortable with nice design, great performance, and full sound. It is capable of letting you listen to music for up to 22 hours, a notable long battery life that knocks off a few of its competitors. The clamp is a bit tight for comfortable wear but if you don’t intend to use it for long periods, it should do well. Overall, Skullcandy Hesh 3 is a great over-ear headphone worth your money.